Arc of Walker County – United Way of Central Alabama, Inc. 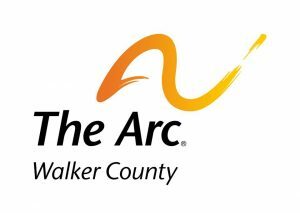 The Arc of Walker County provides services and opportunities for individuals with intellectual and developmental disabilities and strives to create an atmosphere of dignity, family, and compassion. At two locations in Jasper, Alabama, we help individuals of all ages through programs ranging from Early Intervention, Early Head Start and Pre-Kindergarten for children to Day Habilitation, Supported Employment, Residential, and Semi-Independent Living for adults. We have an active and capable staff committed to serving those with special needs and fostering dynamic friendships to last a lifetime. The purpose of The Arc of Walker County is to advocate and provide services for persons with intellectual and developmental disabilities and to family and friends of those individuals. The Arc provides a wide array of adult and children services and opportunities to meet the needs of individuals with developmental and intellectual disabilities. The Arc of Walker County is a non-profit agency providing services to children & adults with intellectual and developmental disabilities.